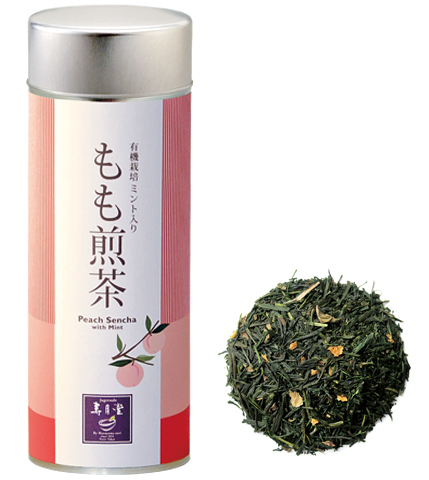 Subtle combination of the pleasant taste of sencha green tea with the sweetness of peach and the fresh aroma of mint. Has a fruity and refreshing flavor. Enjoy it coldbrew! SKU: 831103-L280. Categories: flavored tea, Sencha, Loose tin. 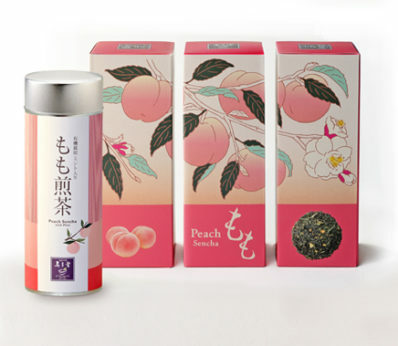 Tags: antioxidant, authentic Japanese tea, catechin, flavored tea, green tea, green tea with mint, green tea with peach, high quality japanese green tea, Japanese tea, jugetsudo, jugetsudo tea, jugetsudousa, momo sencha, organic green tea, organic tea, peach sencha, premium Japanese tea, sencha, theanine, umami.